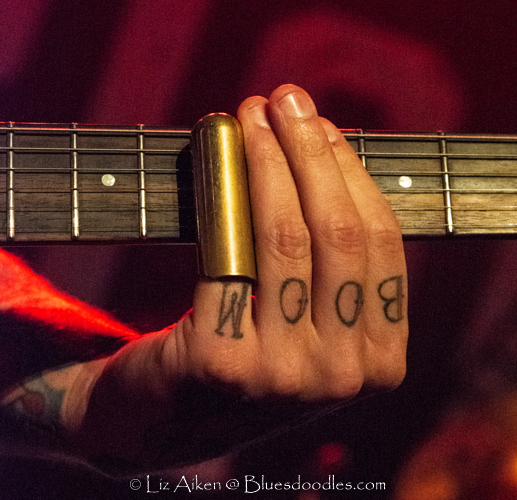 Liz from Bluesdoodles chatted to Kris Barras before the opening show of his latest headline tour. Tonight it starts at The Globe, Cardiff. Another opportunity to hear live his latest album The Divine and Dirty always an exhilarating experience. A great turnout for a Wednesday night gig in Cardiff making the opening of Kris’ 2019 tour a dynamic, hot and crowded night of live music. Before the main act The Globe was entertained by Buffalo Summer. The band from Neath/Swansea delivered an opening set that warmed the stage and audience with a big blues driven rocky sound coloured by the warmth of Southern–Rock. Big melodies, huge riffs and started the night off with a rollicking start with a powerful set of self-penned numbers. The eight song set list included favourites Little Charles, Priscilla and Money to close the set from their current album, Second Sun. Hints of what is to come on their next album with Untouchables, and a Summer ear-worm with the sound of Down To The River. Buffalo Summer definitely performed as a classy opening act. Leaving us ready for The Kris Barras Band to follow as we celebrated live music among friends. The whole atmosphere went up couple a couple of huge notches as Kris entered the stage with his band. As ever he really hit the ground running with an emotionally charged opener Rock N’ Roll Running Through My Veins from his earlier Lucky 13 album. Tonight, we saw Kris play four guitars with guile, energy. Pulling out of the six-strings different sounds and textures whether playing his Green Bacchus, beautiful PRS and his trusty Fender Telecaster. Kris really made his PRS sing and squeal with some blues-drenched rock riffs and licks. Very early in the set with Kick Me Down we had the first highlight of the night, there would be many more. We had the crowd singing with gusto and exhilarating joy as they responded to I Don’t Owe Nobody, this is live music that energizes your soul. In amongst the songs we know from The Divine and Dirty was the first live outing for the Cardiff audience, as Kris said “You are the guinea pigs” as he introduced us to a new song from the follow-up album. It is definitely a keeper we want What You See on the album when released If this is one track imagine what the rest will offer so will be worth the wait. His cover of Led Zeppelin’s Rock N’ roll, featuring some quality electric piano from Josh a cover and a half that the audience delighted in. Then a rock-canting number Light It up hit the pure classic rock DNA vein. The set was already stunning, the crowd loved singing Happy Birthday to bassist Elliot, creating the feeling of a party and being part of a family connected by the common love of live music, rock and Kris. Always emotional for Kris and many in the audience as tears are wiped away as Kris, sings his tribute to his father who died of cancer and introduced him to playing the guitar on stage when he was 9 years old. Watching Over Me is powerful strong slow-blues and like many, this is a personal favourite number a true emotional classic. Then straight into a rapid Rn’B/Rock n’ Roll number, Wrong Place Wrong Time. Every number demonstrates what a great guitarist he has become as he shapes the tonal tones and a spectrum of sounds and textures. His band is an extension of him they coalesce around him. Elliot and Will provide the deep rhythms that balance Kris’ guitar. The in-fills and chords from Josh on keyboards bring that added extra. Closing the set the number many have been waiting for Hail Mary. We were delighted to have Kris play this wonderful song with the acapella holler opening and connects to the crowd every time. We were united as the last chord died away, we didn’t want this music to stop. We wanted the party to continue on a Wednesday night. 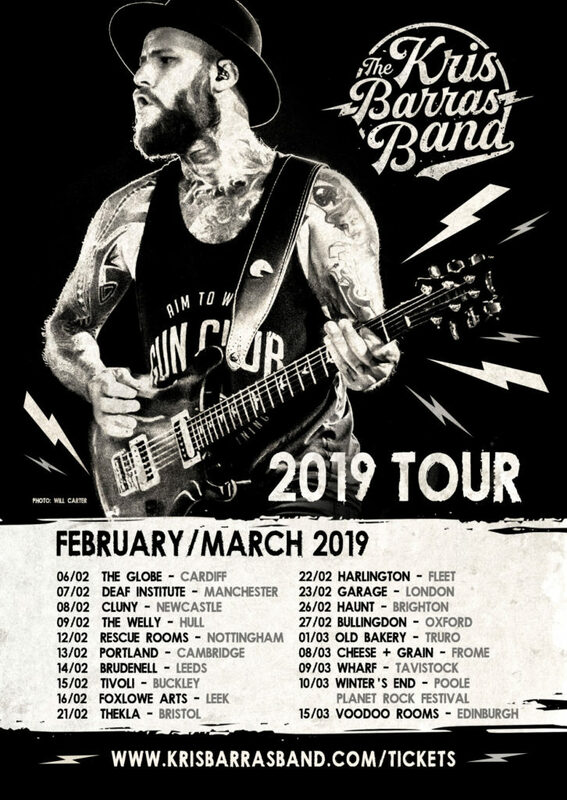 The band returned for one extra number, with Lovers and Losers then it was time to go home, with our head full of musical memories that will sustain us until the next time we hear The Kris Barras Band play, live again in Cardiff. 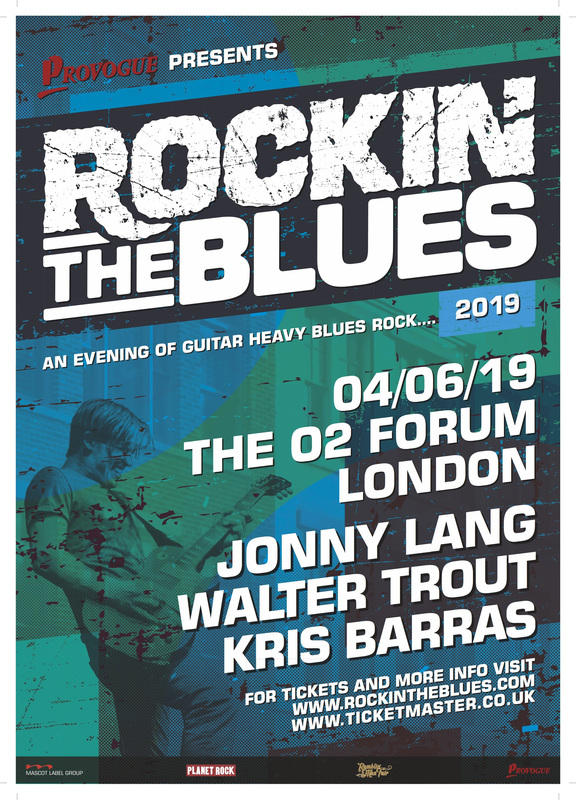 Bluesdoodles says with a very loud voice, this is a tour not to be missed.